A few weekends ago, I hosted the 4th meeting of my local meetup group Confident Women Move Mountains. Each meeting I’ve had a different group of ladies attend and each time it’s been magickal in a way that gives me a beautiful boost to plan the next one. I’ll admit, it feels like a lot to have taken on running a physical in person group while running multiple online groups and making my businesses work and grow as well. But this year, especially towards the end of it - I have been working a lot with the idea of expanding instead of shrinking. It’s very easy to shrink - it’s very easy to say that you can’t do one more thing - that the one more thing will surely break you. But I challenge you to really think about that. Is that absolutely true? We know that my favorite thing is to look for the evidence for yay or nay. Is it really true that one more thing will break you. I mean it *could* break you, but is it a definite that it will? When we are honest with ourselves we can admit that it won’t. What’s more at play here is some hidden choice that we are making to *need* to break. Maybe it’s that we actually *need* a break. Maybe we need a pause and we haven’t been investing in our selfcare and so we need a crisis moment to get us there. Maybe we need to feel like someone cares and so being the victim of our ambitions, goals, dreams and accepted responsibilities is a way that we’ve learned we can get care from others. It’s so interesting what comes up when we let ourselves step past the thoughts that we usually let ourselves end with. 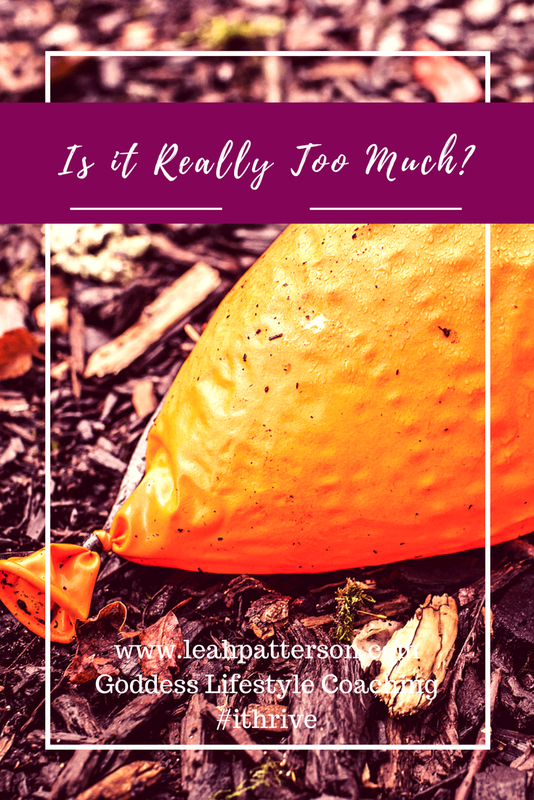 What’s past your habitual thoughts of overwhelm? Of victimhood? Of things never working out? Trust me siStar, I’ve done and am always in the process of doing the same deep dive. I know wonderful life altering change is on the other side of that. I’m sure you know it to. It just requires some courage to shepherd yourself to the other side. If you are looking for support in this unveiling of your limitations, I invite you to join me in these two spaces. ****Online siStars let’s meet up virtually in I Thrive: Healing for Women Overcoming Depression and Anxiety. I will see you there <3!